It has gotten really cold here in Kitakyushu . More and more people are wearing long johns at NSTC. It definitely does keep you warm. Once you try wearing one of them, you can’t leave home without it anymore. It is highly recommendable . 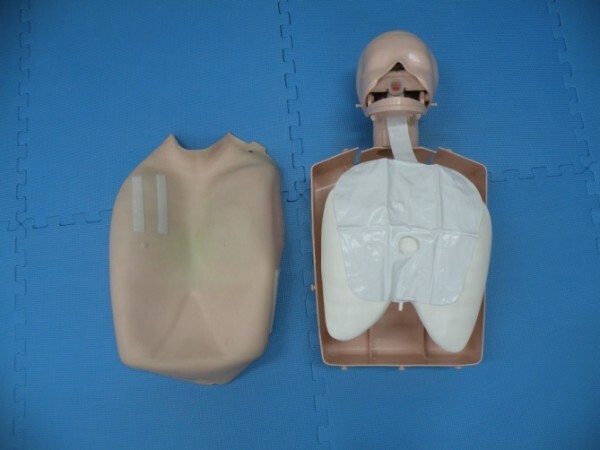 We would like to show you how we do maintenance on our dummy that we use for the First Aid practical training. After training we sanitize front chest part, and replace lung bag with new one. In the photo above left you can see a sanitized chest part and above right a new lung bag set inside the dummy. Anatomy of the dummy is being shown for the first time here. Face parts are also clean and sanitized. It is as if their looks have been improved a little. What do you think? After they are dried, we put the parts back together and ready for next use . 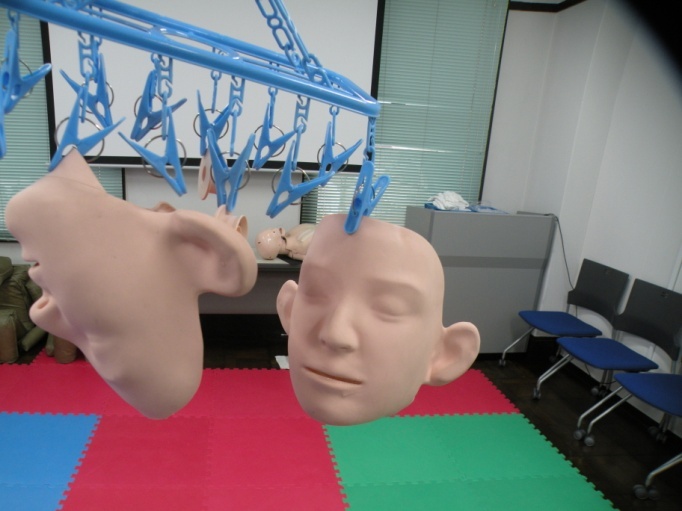 Our dummies are looking forward to see you. Behind the scene we treat our dummies whole heartedly that you may feel some warms from them. Here is a comment from the participant.